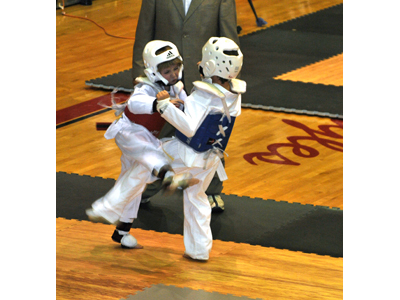 Welcome to the Oklahoma State Taekwondo Association web site! The purpose of this site is to inform the Oklahoma Taekwondo community of USAT sanctioned events and provide a vehicle for participation. The 2019 Oklahoma State Taekwondo Championship will be April 27 at Carl Albert in Midwest City, Oklahoma. Official USAT Referee Seminar for 2019 will be April 26, 2019. Seminar will begin at 3pm. The OSTA will hold its annual meeting on 10 November 2018. USA Taekwondo is the US Olympic Committee's national governing body for Taekwondo in the US and is directly under the US Olympic Committee. The Oklahoma State Taekwondo Association is the ONLY official state organization under USA Taekwondo.